Maintenance is the most important part of your termite prevention system. Termite baiting is the finest and most effective long term protection against termites so long as your system is checked, maintained and treated when necessary. Termite Free Naturally (TFN)’s number one priority is protecting your home from termites. 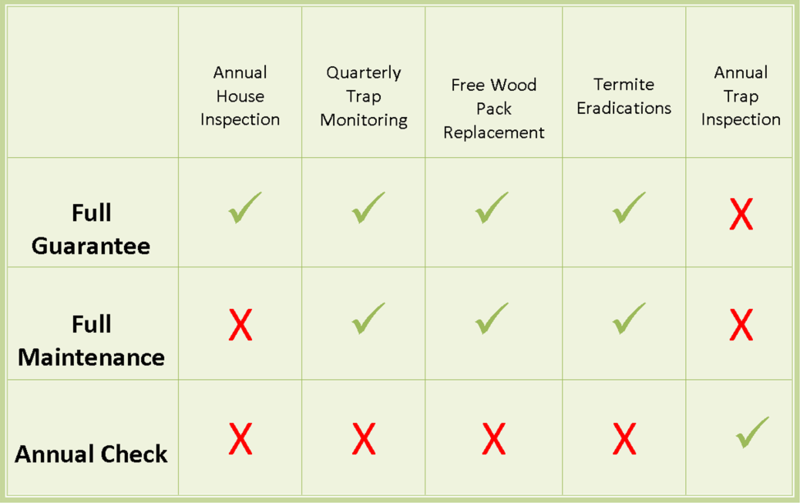 Traps need to be checked and serviced 4 times a year.. TFN is committed to providing you with the finest service possible. You will be required to do the 3 monthly checks yourself. 2. Full maintenance and treatment package – includes checking, servicing, baiting your TFN system and guaranteeing the protection of your home from termites. 3. Full Guarantee Package – includes wood replacement guarantee of up to $10 000 for any damage to your home caused by termites while we are monitoring it.